We have made some minor changes & enhancements to our account management portal in order to make accessing our ticketing system, knowledge base & maintenance notices easier. Upon logging in, you’ll notice the “Maintenance Notices” notifier directly on your main dashboard. This now shows active & scheduled maintenance notifications for our infrastructure that have been scheduled or are actively reported/being worked on. We have also added a new “Support Center” which contains important information for your account, helpful information from our knowledge base & also access to your support tickets. 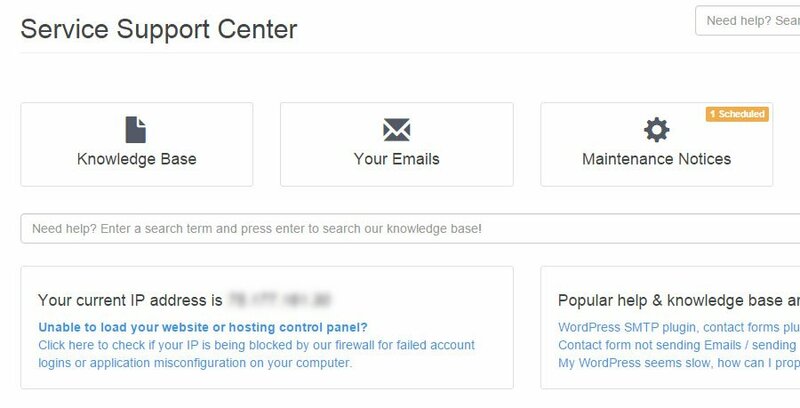 In addition, your current IP address is always displayed on the Support Center dashboard as well as access to check & unblock your IP address in the event of a firewall block. We’ve provided easy access to search our knowledge base as well. We have implemented a search on various support pages including the main Support Center page as well as our Support Department selection page. 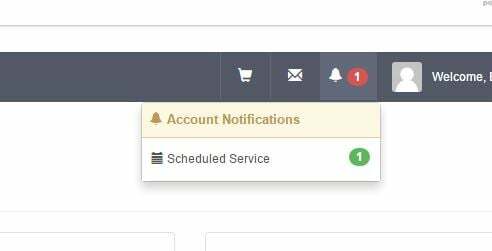 On your main dashboard as well as the Support Center dashboard, we have also implemented real-time maintenance notices that will show scheduled & reported maintenance notifications when there’s a problem or we have a maintenance window scheduled. You’ll also notice the implementation of the Account Notifications alert shown in the navigation menu to the left of your name. This alert will be displayed if there are any opened network issues, alerts on your account or scheduled maintenance windows.